We also work with the charities below in areas that are close to our own work. For the past five years we’ve supported the Mission Christmas appeal which is held for charity ‘Cash for Kids’, which aims to ensure every child has a present to open at Christmas. We’ve collected hundreds of toys at our Bower House office in Manchester, and will continue to support the appeal this Christmas too. 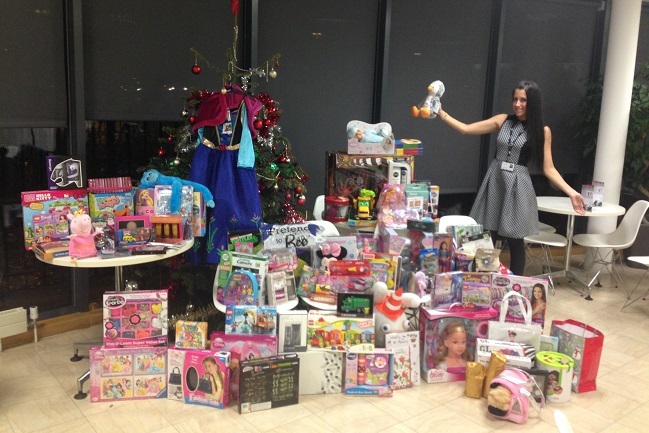 We also collect toys across our other locations and donate them to organisations and charities in the local community. 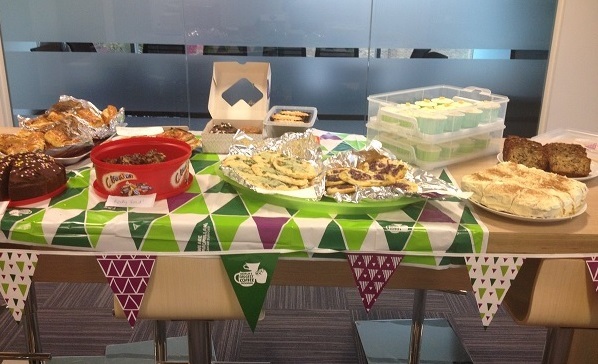 Every year, we take part in the Macmillan Coffee Morning across all our offices. Colleagues bake and buy a variety of foods (mostly cakes!) then donate all the profits to Macmillan. Since taking part in the coffee mornings we’ve raised over £20,000. The Helping Hand award is available for our employees who are doing something to raise money for charity. If the charity supports our social ethos or benefits one of our communities, then we match the funds that they raise! Our six-month partnership with The Trussell Trust, the fastest-growing UK food bank network, was a big part of our Food Sense campaign in 2016. As well as sharing information about healthy eating and food banks, we supported the charity with funding and food collections. They have an ambitious goal to “end hunger and poverty in the UK”. After starting in Bulgaria, the UK food bank network was launched in 2004, teaching churches and communities nationwide how to start their own food banks. If you think you might need help from a food bank, please read our guide to using food banks.